FRESNO COUNTY (KFSN) -- A family was reunited on Monday with the headstone of a family member. The headstone was found in a dry canal bed in Dinuba. 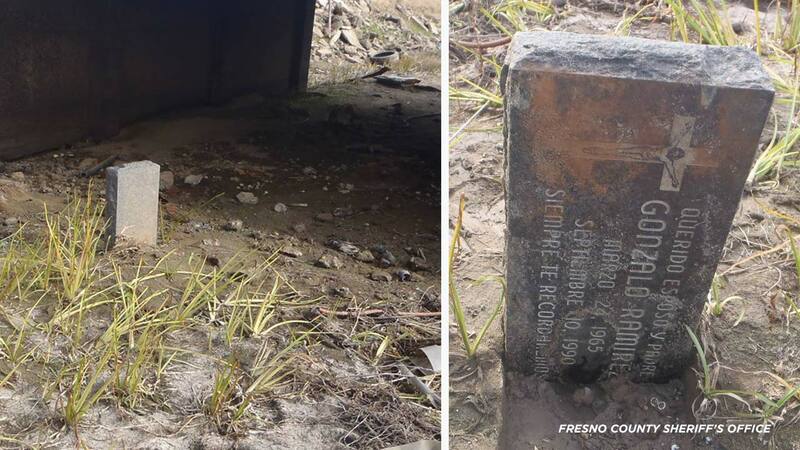 According to the Fresno County Sheriff's Office, on January 4, someone found the headstone in a canal near Monson Avenue and Dinuba Avenue near the city of Dinuba. The Sheriff's Office put a call out on Facebook asking for the public's help identifying the family to whom it belonged. A few days later, the post was updated thanking the community for their help and that deputies are arranging the return of the headstone to the family. A person on the Fresno County Sheriff's Office Facebook page posted a comment, saying the headstone was his father's and said it had been stolen years ago from Manning and Hills Valley and had been replaced.